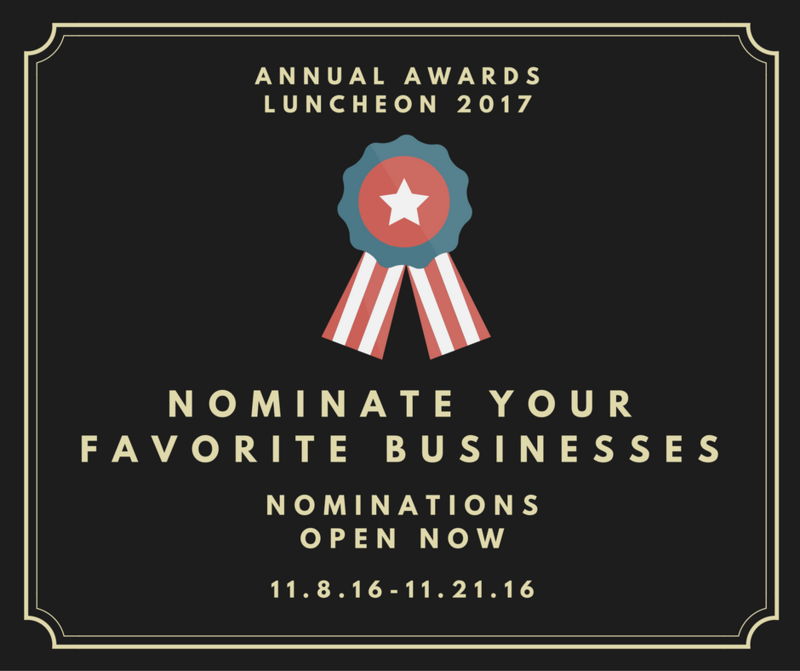 Nominations will close at end of business on Monday, November 21. Businesses with at least three nominations will be asked to provide a short summary explaining why they should win the award. Those names--and their submissions-will be re-submitted to membership and YOU will vote for one business in each category. The summaries will be submitted by Friday, December 2nd. Monday, December 5th members will be able to vote on their favorite nominees in each category, until Monday, December 19th. The finalist will all be invited to the Annual Awards Luncheon and one lucky winner--based on votes cast by membership--will be announced for each category!